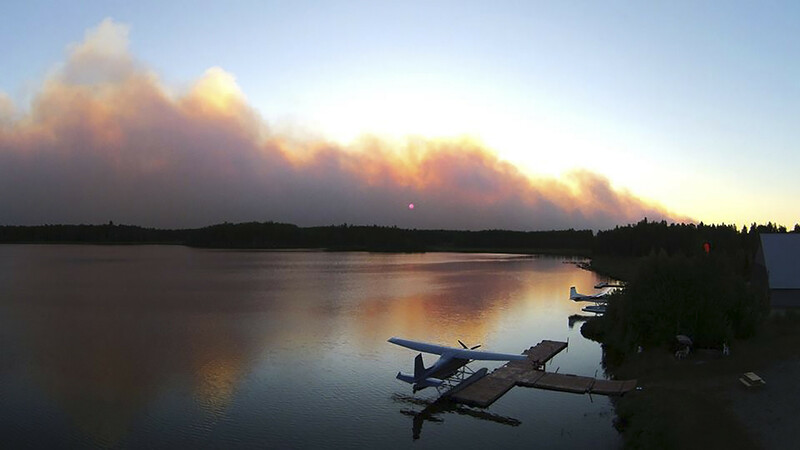 Over 5 million acres of Alaskan forest was burned in wildfires last year – more than 25 times the area of New York City. But scientists now believe the increasing frequency of these fires is not just a side effect of global warming – it could actually be driving the problem. Cold Alaskan temperatures mean the state’s boreal forests, peat-rich tundra, and permafrost are capable of storing large amounts of carbon. 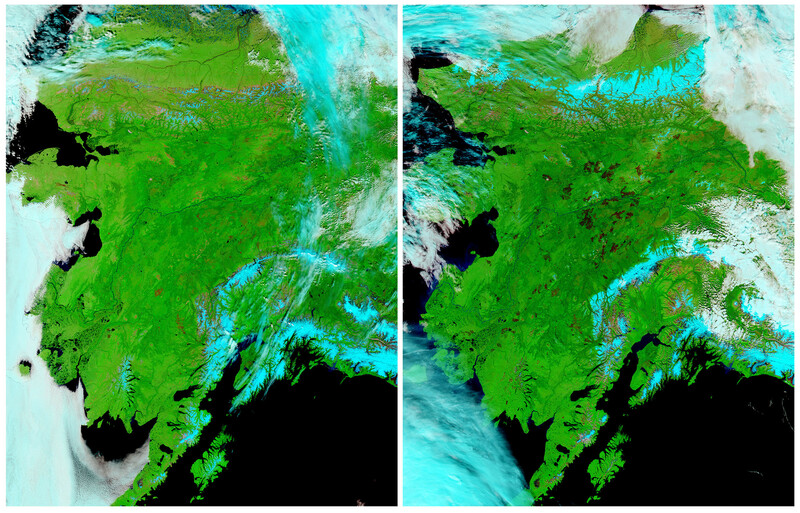 The Guardian reports that Alaska – which represents 18% of the US land mass – holds around 53% of the country’s carbon. However, when wildfires destroy areas that are holding carbon, more carbon is released into the atmosphere. This dramatic photo from September shows the extent of the fires is even visible from space. 2015 was a record year - in terms of total number - for wildfires in Alaska, and US Geological Survey (USGS) researchers are voicing concerns. The report highlights the risk to ecosystems such as Alaska's, due to higher temperatures, more wildfires and permafrost thaw. In effect, a vicious circle is created, as a warming planet causes more carbon to be released, which in turn contributes to further warming. As this image from June last year shows, the scale of the challenge faced by the authorities was colossal. In just one seven-day stretch in June, 295 fires were started by lightning alone. By the end of the month, over 3,000 personnel were assigned to fire incidents. 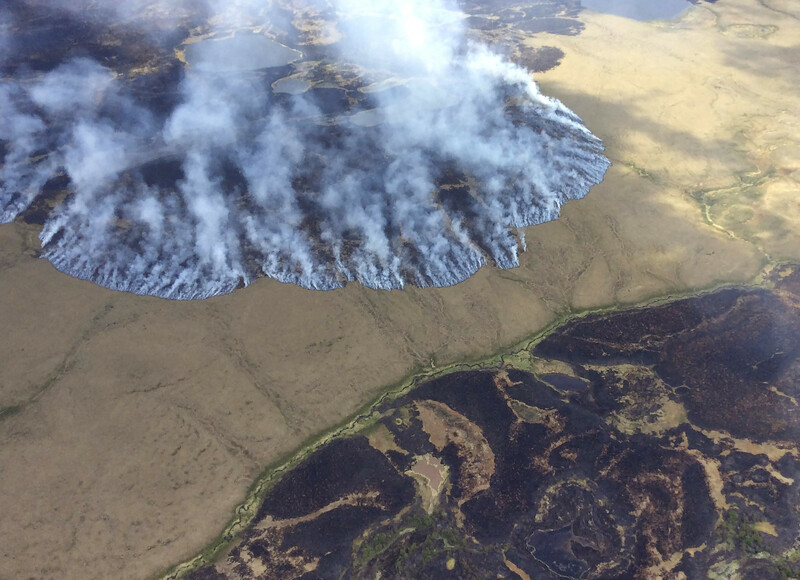 In total, 2015 saw 766 fires and 5,144,880 acres were burned according to the Alaskan Interagency Coordination Center .